The City of Mission Viejo is at it again to make our lives sweeter. They’re offering two classes this fall designed to teach kids and adults how to decorate decadent cupcakes. 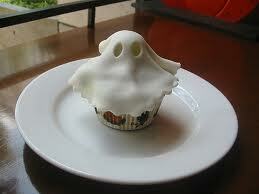 Get into the spooky spirit by decorating cupcakes with a Halloween theme. During the class, which is from 1:00 to 2:30 p.m., student decorators will make fondant flowers, leaves, shapes and more. Each participant should bring one dozen cupcakes without icing. Children 3 to 6 years of age must be accompanied by a parent. Cost is $29 per person plus a $10 lab fee payable to the instructor. The class takes place at the Norman P. Murray Community and Senior Center at 24932 Veterans Way. To register online, visit eConnect.cityofmissionviejo.org and reference course #2075 for the cupcake class. For more information, call 949-470-3062.